Franks and Beans would like to apologize for the following episode. Blog 40 – Who Do You Think You Are? “Who Do You Think You Are”, in the running (because this isn’t something objective and measurable, of course) for the shortest Franks and Beans episode, has one joke in it. This puts it ahead of some other Franks and Beans episodes (hey-ooo!). And with THAT joke, this blog post now has more than some others. Hey…hey-oo…ooo. Oh well, the first one was better, but what can you do. 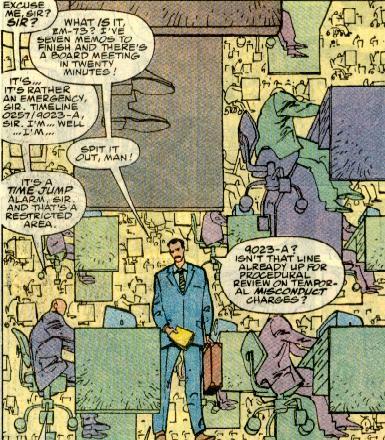 The joke in this episode is easy to spot but perhaps is more difficult to define. Simply, we’re posing a rhetorical question and then answering it even though it is both rhetorical as well as visual. So the obvious nature of the answer, and the fact that dammit, we still go ahead and answer it, is what I enjoy about this little clip. Larry, undoubtedly, enjoys the fact that we’re using his Halloween costumes as a sight gag in episodes and not just as a sight gag at the end of episodes. 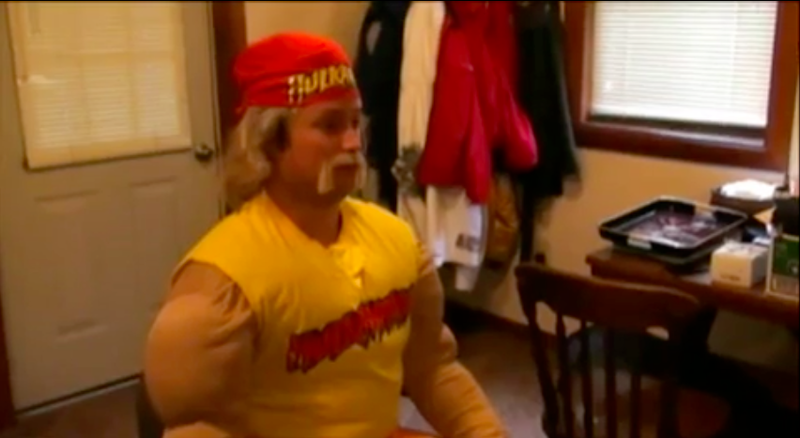 But really, why would you want to waste a perfectly good Hulk Hogan costume, anyway? So it’s almost like we had to use it, and thus we did for a second time in the show. That’s a pretty nice mustache, Larry. The “NO!” ending to this episode (according to the screen shot, complete with a tiny “0:18” in the bottom right corner) is bittersweet considering the recent past for the Steelers. This was filmed in advance of Super Bowl XLV in early 2011, and as with any great team, time marches on and situations have changed for our beloved black-and-gold squad. It seems the last few pieces, with a couple notable exceptions, of the Super Bowl XL-XLIII-XLV teams are moving on. 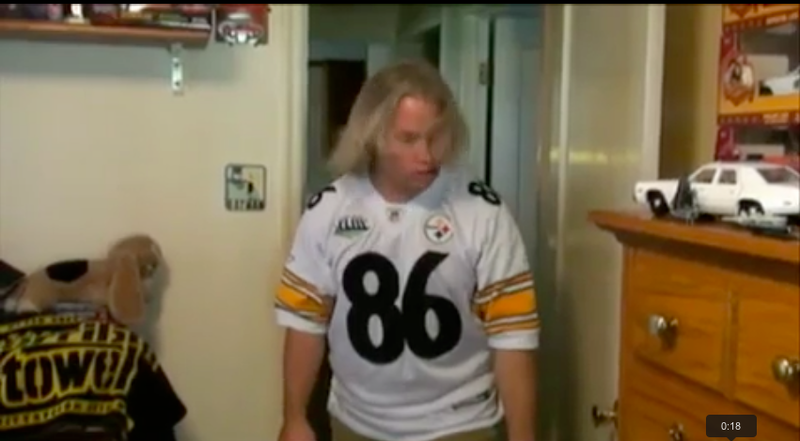 Hines Ward, whose jersey Larry wears in this literally head-shaking ending, has retired, and today news comes that the Steelers have released 2008 defensive player of the year James Harrison. It’s a shame that these things have to happen, but I hope that it’s merely a precursor for more glory to come in the near future. Thanks for all the memories, Silverback. If there truly are parallel universes as some claim, that means that somewhere out there in the vast expanse of the unknown there is a world, at least one world, where Franks and Beans is so beloved that it has its own merchandising arm, where throngs of adoring fans can spend their hard earned money (or whatever passes for money on alternate Earth – tree sap, perhaps) on the newest products and wearable garments. One such garment might look like the above picture of a retro-looking Heniz shirt, except that “Frank” would have an “S” added to it, and also we would be selling these things instead of buying them at Old Navy, budget friendly though they might be. And wouldn’t THAT be fun? Episode 38 – Who Do You Think You Are? Larry has some explaining to do. Campbell’s Chunky Soup is a notable sponsor of the NFL and has been for years, though perhaps not as much as in years past, when Donovan McNabb and his mother starred in a long string of commercials for the soup (that eats like a meal). During the run-up to Super Bowl XL, Campbell’s took full advantage of the Jerome Bettis media blitz and sponsored several events with Bettis and McNabb, even going so far as putting each of their mothers on people-sized scales (with cans of soup on the other end) to raise money for charity. But now, Bettis is retired and no one likes McNabb anymore for some reason. Time goes on. But our barf-tacular 37th episode, “Chunky” is here to stay, oh yes. Do you hear that, world? 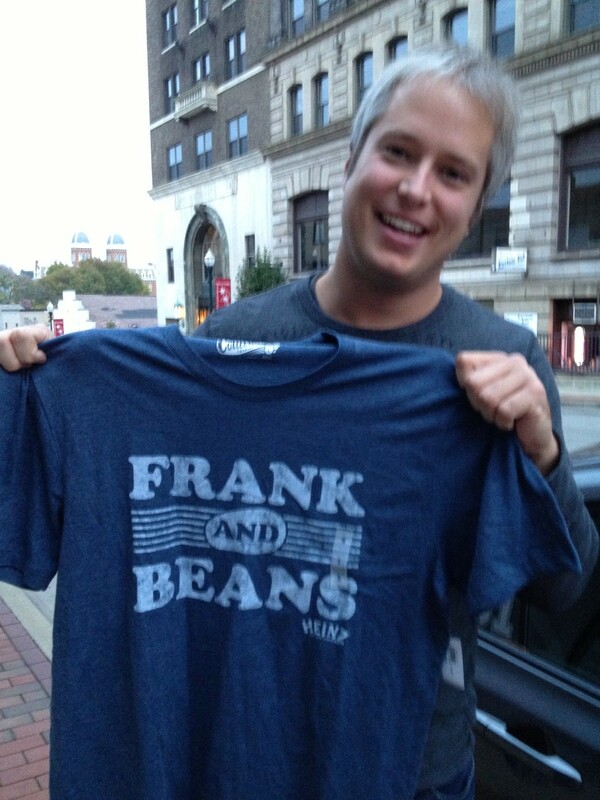 Franks and Beans will never leave you! We’re like a best friend, a guy living in your basement, or an unfortunate and stubborn rash, and this episode exemplifies that idea. The main thrust of this episode, I suppose, comes down to the idea of “wouldn’t it be gross to eat vomit?” And as someone who has thrown up a few times in the past, I would have to say that yeah, it probably would be. If there is a problem with this episode, it may lie with the fact that there’s really no surprise in what the joke is ultimately going to be. Once Larry puts his container of puke (patent pending) on the counter, it’s pretty obvious that something terrible is going to happen with it, and we lay it out pretty clearly once Larry tells Jeff that he can have some of the soup that’s on the counter. I guess, though, that whether it was obvious or not, the joke depends much more on the gross out factor than it does on the element of surprise, so in a way it can still succeed. One thing that I learned from this episode is that clam chowder is actually pretty gross in and of itself. Larry loves the stuff, so I went ahead and bough a can of it for the episode. We ate it cold, for some unknown reason, and that may have had something to do with it, but I’ve never been a fan of seafood before and this event didn’t change my opinion. I also don’t like to eat barf. The “NO!” ending for this episode comes from, of course, the GI Joe cartoon. We chose it because – get this! – “Joe” sounds like of like “No” and that’s all we were really looking for. So if there is any significant catch phrase that ends in “bow”, “doe”, “foe”, “go”, “hoe”, “low”, “mow”, “oh”, “Poe”, “quo”, “row”, “sow”, “tow” or “woe”, chances are that we’re going to get to it one day. So…look out for that.